At Patent Networks Law Group PLLC, we help our clients protect cutting-edge technologies by crafting balanced, multi-faceted intellectual property portfolios. The resulting IP estate enables our clients to leverage their best possible global market positions. We also assist clients assess their surrounding IP landscape via patentability and freedom to operate analyses, to avert IP entanglements. Proactive IP development strategies necessarily require effective licensing agreements and plans. 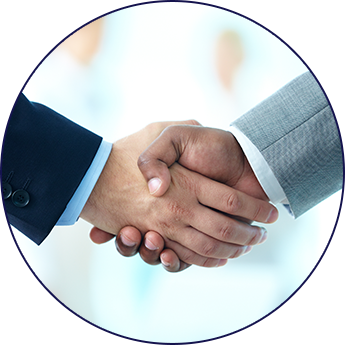 Our experts negotiate and author all types of licensing agreements, for national and international transactions, on behalf of private and publicly held corporations, nonprofits, governmental organizations, and health and research institutions, including pharmaceutical and biotech companies and related private-public joint ventures. Our IP licensing services cover preliminary agreements (such as NDA, MOU, LOI, and Term Sheets), as well as mature business transactions for joint ventures, strategic alliances, andexclusive IP asset licenses and aquisitions. Our commercial transactions work encompasses material transfers, clinical trial agreements, research and development contracts, and more specific agreements for co-branding, publishing, consulting and service, manufacturing and development, and marketing, among others. Freedom to operate (FTO) analyses, include right-to-use and clearance studies, to determine if new products or commercial practices are likely to invoke patent infringement claims against our clients by adverse parties. FTO investigations are strongly advised for new products and methods prior to commercial launch or acquisition. These studies are designed to avoid commercial liability and litigation, offering solutions in the form of non-infringement and/or invalidity findings, licensing, sale or aquisition. We also assist in design-around options when third-party patents encroach upon our clients' technologies. At Patent Networks Law Group PLLC, each FTO study is carefully implemented to map out Intellectual Property landscapes surrounding our clients' commercial interests, to determine if there are broad, entry-blocking patents. Further analysis focuses on specific aspects of products and methods to determine point-by-point clearance of all product/method features. Startups seeking funding commonly benefit from FTO reports to reassure investors, while established companies often benefit from in-depth FTO investigations before undertaking commercial product launches. In either case, we adapt our processes to client primary needs and budget.